The Gospel is about the righteousness of God. 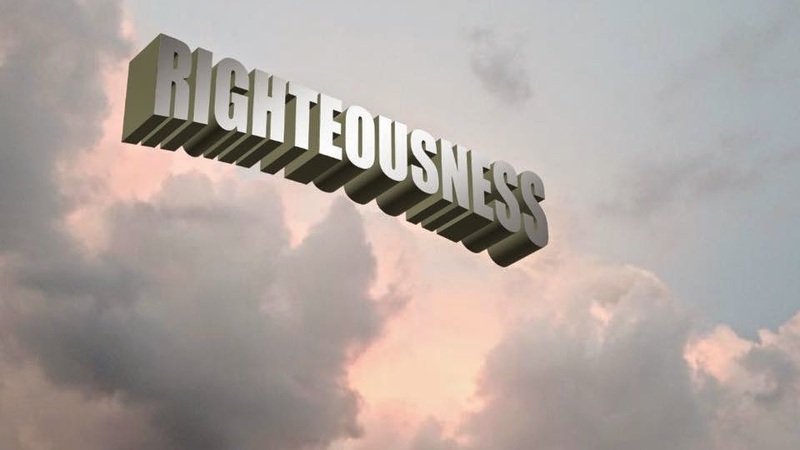 God is righteous, therefore in order to come into His kingdom you must be righteous in the sight of God. "Or do you not know that the unrighteous will not inherit the kingdom of God." (1Cor.6.9). But here is the problem; the Bible says, “There is none righteous, not even one; There is none who understands, There is none who seeks for God; All have turned aside, together they have become useless; There is none who does good, There is not even one.” (Rom.3.10-12). If you believe that you are righteous, if you think that you are good by your own merit, God has given His holy law for the purpose of bringing the knowledge of sin. If you have ever told a lie even once, you are a liar. If you have ever stolen anything, you are a thief. If you are honest with yourself, you know that you have sinned and fall short of the glory of God. The wages of sin is death, that is the bad news, and it is what you deserve for your sins against God. There is good news, the free gift of God is eternal life in Christ Jesus our Lord. God justifies men, that means He declares them righteous in His sight apart from the Law. How can God forgive the sins of unrighteous men and continue to be Himself righteous? He does this only one way; by His grace through faith in Jesus Christ. The English word GOSPEL is translated in scripture into English from the Greek word εὐαγγέλιον (EUAGGELION); which means good news. Now here is a summary of the good news about Jesus that I also received. Jesus is the Christ the only begotten Son of God who came from God in human flesh, and lived a perfect righteous life; a life that you and I have not lived nor even can, but nonetheless is the life required by God for eternal life with God in His Heaven. Jesus promised eternal life, not to everyone who is perfect, but to everyone who believes in Him. This is good news, because we have all sinned and fall short of the glory of God. "For the wages of sin is death, but the free gift of God is eternal life in Christ Jesus our Lord." (Rom.6.23). Jesus willingly laid down His own life on the cross for His sheep, for our sins against God. He was crucified, nailed to a cross of wood and died. He was buried, then on the third day the very Man who promised eternal life to everyone who believes in Him, walked out of the grave alive. After His resurrection He first appeared to the women, then to two men on the road to Emmaus, then to Peter, then to His other apostles, and then to over five hundred brethren at one time; presenting Himself alive after His suffering, by many convincing proofs, appearing to them over a period of forty days and speaking of the things concerning the Kingdom of God. Believe in the gospel! The English word BELIEVE is translated in scripture into English from the Greek word πιστεύω (PISTEUŌ); which means to entrust. This is more than a simple acknowledgement of the truth, it is an implicit trusting. Jesus said to Martha, "I am the resurrection and the life; he who believes in Me will live even if he dies, and everyone who lives and believes in Me will never die. Do you believe this?" She *said to Him, "Yes, Lord; I have believed that You are the Christ, the Son of God, even He who comes into the world." (John.11.25,26). She trusted in Him. If you have not trusted in Jesus Christ alone as Lord and Savior what you must do is repent.